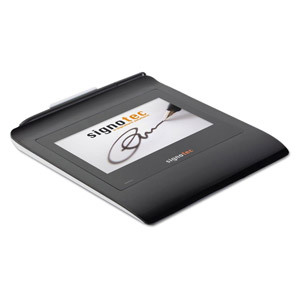 The success story of signotec begins in 2000 in the field of electronic signatures via Pen Pads or Tablet PCs. With the proven signature innovations and intelligent software solutions for mobile and stationary use, users can sign in the familiar way, optimize business processes, authenticate people and produce legally valid documents. Electronic documents signed this way can be checked without technical outlay by anyone anywhere and at any time. Thanks to own resources, innovation and many years of experience, the company already set many, strategic milestones on the path to success. The decision to not develop only software solutions but to also produce hardware for digital signature capturing is a good example. Both, soft- and hardware guarantee a unique and data protected interaction that has already been confirmed by numerous patents. 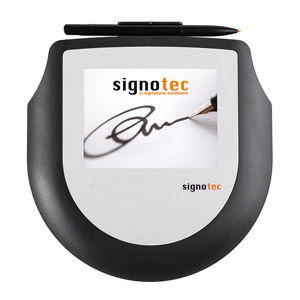 With signature solutions from signotec, signing remains as easy and secure as ever. However, the signature is given in the electronic document itself. As a result, cost-intensive and time-consuming media discontinuities are avoided, while the electronic documents are protected by the digital signature and can be verified as genuine. 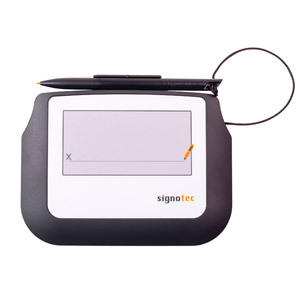 The encryption of biometric features within the signature pad is characterized by patented safety mechanisms and high quality capturing. With the Made in Germany label, the company takes an outstanding position on the market and supports the middle class in Germany. 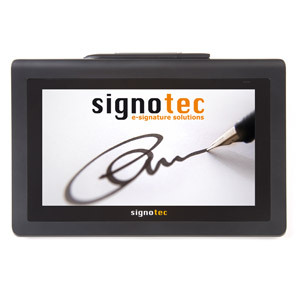 SignoSign/2 is provided as software download via email. A registration is necessary. Please fill out the form below. Please fill out the form below and click submit when completed.